Presenting a large selection of image-based publications, the Swiss Institute will debut its new name, Swiss In situ, ahead of its move to a long-term location sometime in 2017. 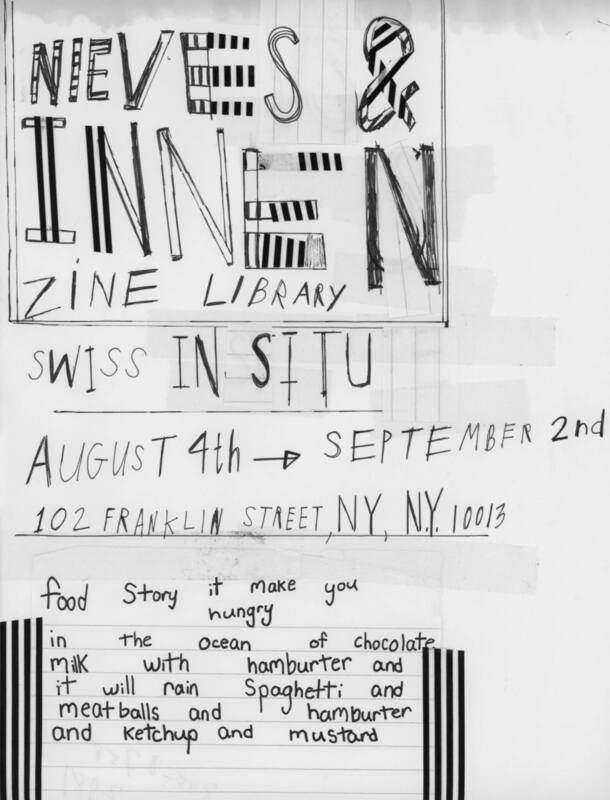 For the time being, their temporary Franklin Street location will host events and exhibition including a show featuring the publishing houses Nieves and Innen. Comprising hundreds of collected “pocket-sized image-based publications” from many collaborators and “like-minded producers,” according to the press release, the exhibited work speaks for itself, accompanied by workshops and talks with the artists themselves.